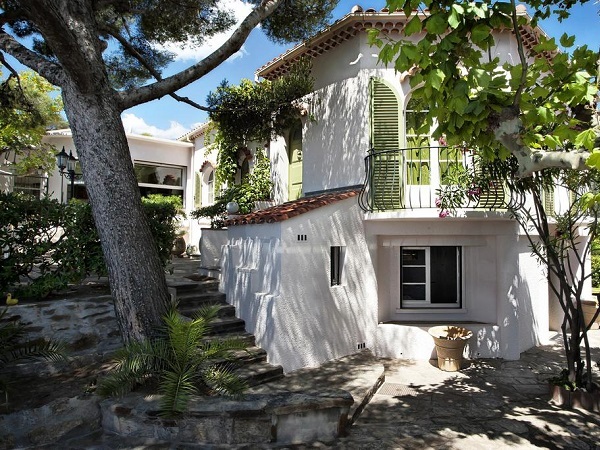 The hotel is in an idyllic location, mere steps from one of the best beaches in the area (some would even say in France), yet also only 5 minutes walk from the heart of the pretty port town of Le Lavandou, with its 12 km of coastline, marina and views over the Massif des Maures. There is a small path between the rocks leading you to the beach, port and fishing village, where you will discover the charm of Le Lavandou and southern life through its alleyways and winding streets. 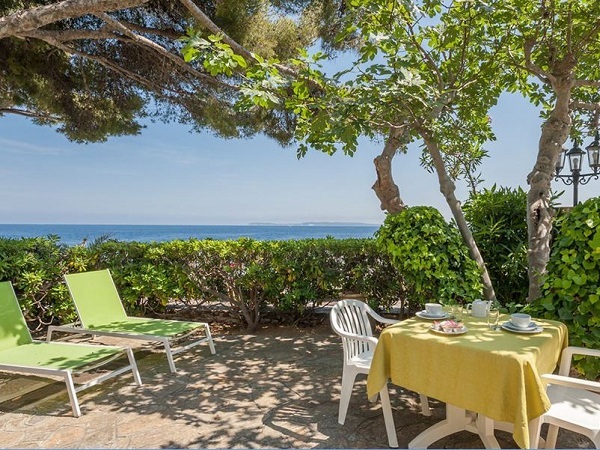 Alternatively, simply relax and socialise on the sunny terrace overlooking the sea and the Îles d’Or, sipping a cool drink from the on-site bar, while watching the world go by. Or take advantage of the comfortable, shady lounge with great views across to the mountains. Either way, there is plenty to do when not out riding in this beautiful area. A well-located hotel between the mountains and the sea, to truly make the most of this stunning area. 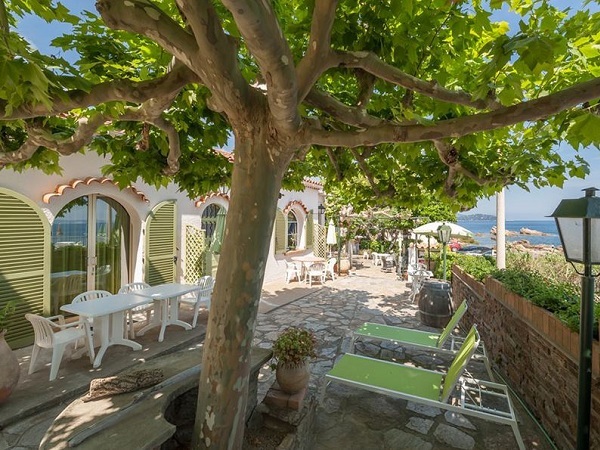 There are 14 bedrooms, with 8 having a sea view. Every room has a private ensuite bathroom fitted with either a bath or shower, and for your convenience you will find complimentary toiletries and a hairdryer for your use. Each room also has a flat-screen TV, plus a kettle to make your own hot beverages. Astria Beach La Falaise features free WiFi throughout the property. On the sunny private terrace where breakfast is usually served, there are also comfortable recliners where you can relax and enjoy the view out to sea, and down to Saint Clair beach. In addition, there is a comfortable, peaceful lounge with an on-site bar looking out onto the mountains, for those quieter moments or maybe to meet up with friends, old and new. If you prefer, it is possible to hire deck chairs and parasols on the private beach below. A buffet breakfast can be enjoyed in the breakfast room, or on the terrace on sunny mornings. The hotel doesn’t have its own restaurant, so evening meals are taken just a short walk away at one of the many restaurants in Le Lavandou. Expect lots of great local produce, including fresh fish, sea food, as well as fruit and vegetables from the market – plus of course the local rosé wine to wash things down. Wine and additional drinks from Astria Beach La Falaise Hotel or the restaurants are purchased on an individual basis, again payable directly. 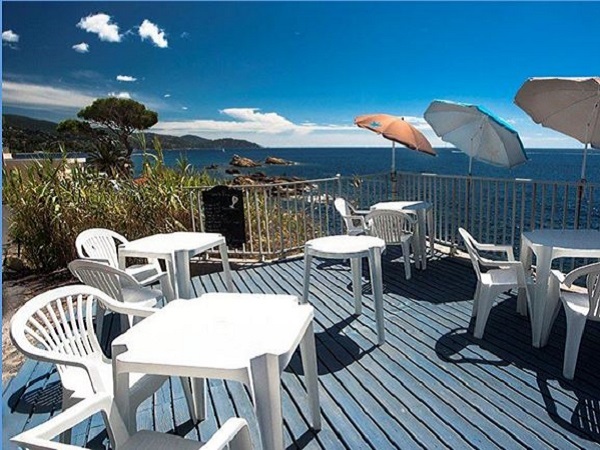 The hotel is well-located right by the popular beach of Saint Clair, yet only a 5 minute walk from the heart of Le Lavandou, its winding streets, harbour and 12 beaches. Word-of-mouth recommendations are important to us. You can see many reviews from guests who’ve stayed at the Astria Beach La Falaise Hotel on Trip Advisor here >>>. Want to stay with us at the Astria Beach La Falaise Hotel... ?